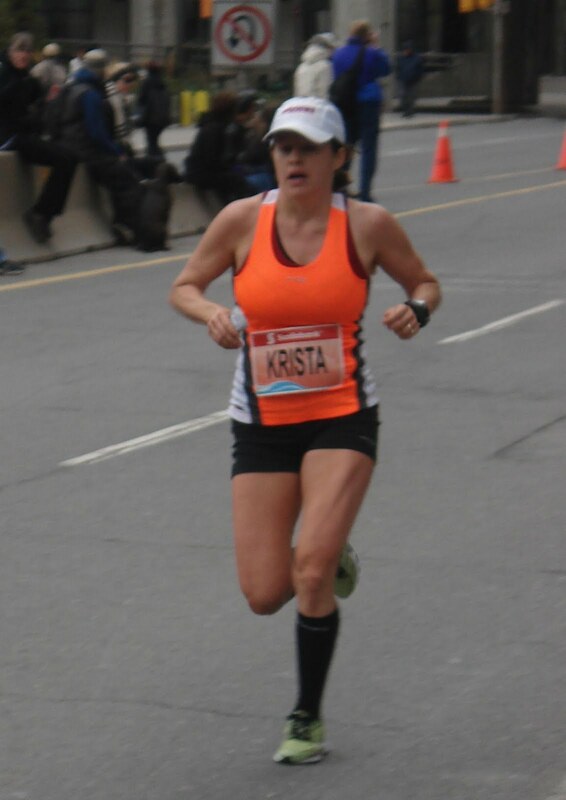 Scotiabank Toronto Waterfront Marathon (STWM)…WOW! Well, today was a GREAT day at the STWM! Here are a few articles with the many exciting events of the day (one, two, three). In short, here is what happened: Reid and Eric met the “A” standard for London 2012, Kenneth Mungara won his 4th consecutive STWM, and 100 y.o. Singh and 80 y.o. Whitlock set World Records. Oh, and I ran my first 1/2 since Leah was born. OK, not so news-worthy! In these pictures, 1) Micah and Seth LOVED eating their pizza supper in front of the hotel tv! 2) We really enjoyed ourselves as a family; cheering on the runners, staying in a hotel, etc. I’ve been trying to explain to the boys about the significance of the day’s events. They don’t quite get it yet; shortly after seeing Reid and Eric finish, they were more concerned than anything about getting back to the tv! Jonathan did a great job getting the kids fed, to the start and finish, etc. It’s not always easy trying to keep your eye on the kids AND the runners! Thanks to Kevin and Jen for coming to cheer me on and help w/ the kids. 3) After showering, I enjoyed some down-time with Leah (and she was glad to be fed again!). 4) Here I am, about 500 m from the finish. As for the race, although I did not achieve my goal time of sub 1:18, I am thrilled with my performance (time was 1:19:15). I knew there was going to be some decent competition so didn’t have an pressure to keep up w/ the lead pack. So, once I saw them head out, I was ok with that and stuck to my own plan. I wanted to stay around 3:40-3:45/km, which was difficult at times with the fast start, wind, etc. Around 5 km I ran into Roger who provided me with some relief from the wind and a decent pace. We ran together for at least 7 km. Thanks, Roger! Before the race, I wasn’t sure I would need any gels but good thing I had 2 in my back pocket! They came in handy. Around 12 km (? ), the best thing happened … my body surged. It was neat in that my body said, “Yes, I’ve got this” and my mind said, “Are you sure?”. So, I went with it and rather than counting down the km’s left to go, I found them slipping by quicker and quicker. If my math is correct, I think I had a negative split (second half faster at 3:43/km than the first at 3:48/km). Around 16 km I caught up to one girl ahead who was leading a pack of 5 or 6, and went past her to get a 4th place finish. Not too shabby. I must say that even though I was only doing the half, I certainly took advantage of the crowds. The support from the fans was amazing. I just love hearing people call out, “Go, Krista. Great pace. You look strong!”. So, I am ready to start ramping up the miles. The plan is to average about 100 km/wk between now and the end of December. Then, Coach Nicole takes the reins January 1st to get me ready for Ottawa May 2012. As someone who is new to the running races world (but as a spectator), it's good to know that people do actually hear us – I always wonder, when I cheer, if runners are so focused on their pace, physical feelings, etc. that they don't really hear the fans. Now I know my cheering does have an effect! Congrats on an excellent race. You're being smart – training responsibly and not going too hard, wanting immediate top results. Fourth is a great outcome, but I wouldn't be surprised if you end up higher on the podium as your training increases.